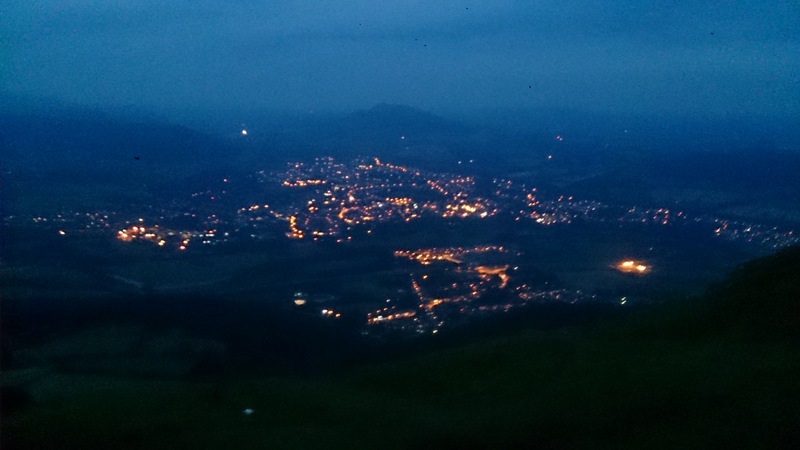 As we were staying near Abergavenny in Wales I wanted to stick in a couple of rides and after getting home form a day out at the waterfalls I decided to go for a ride after dinner. My mum and brother ended up wanted to go for a walk too so I got a lift to the top of the hill. Since it has been super dry for a while the tops was not boggy at all and was super fast to ride across and down the other side. 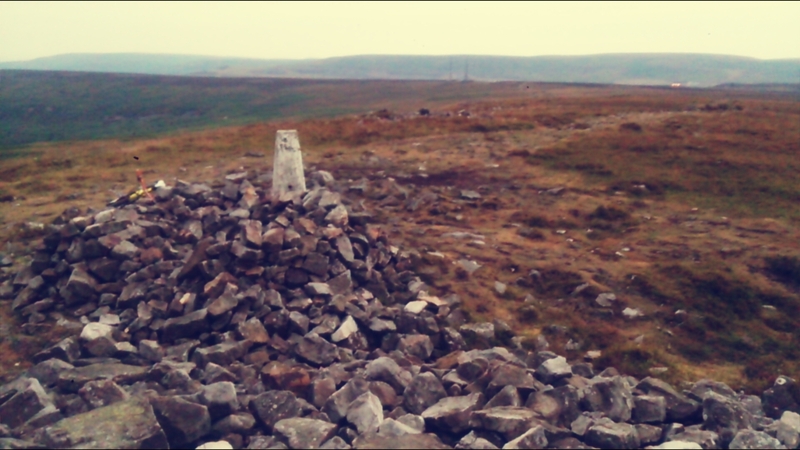 The cairn at the very top, it was a little windy! 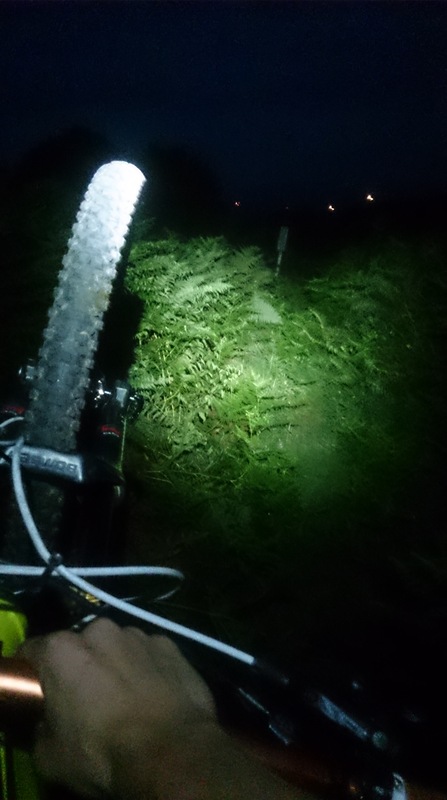 After I crossed the road the darkness has already set in (since I decided to do two laps of the top) and I had to get the lights on, I could barely see where i was going as the tracks were SO SO overgrown with bracken, luckily there was at least a little gap to ride through but I was riding so far over the back wheel in case my front wheel hit any big rocks hidden in the grass down below. Blind riding was interesting anyway. Even down in the woods it was fairly overgown and I took the wrong path about 5 times, possibly admitting to being a little lost, before I finally found a way back towards the road we had driven up on. 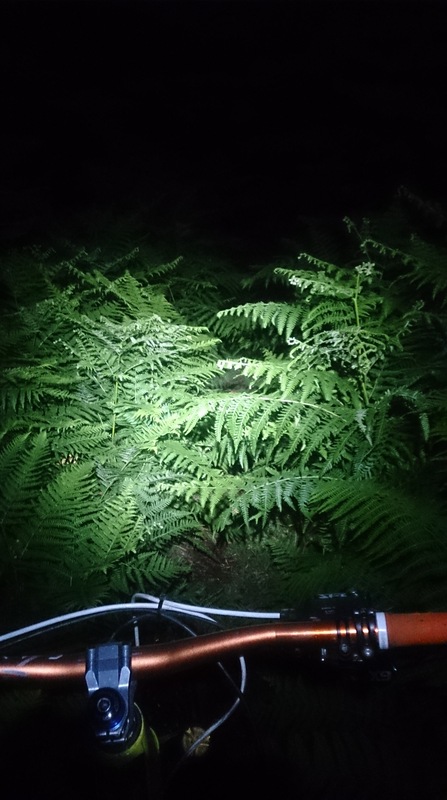 A bit of an adventure in the woods above Abergavenny on a summer night, definitely one of those ‘what the heck am I doing’ moments as I struggled through the bracken in the pitch black in some random woods unsure of where I actually was!